We live in an age of depersonalization – the action of divesting someone or something of human characteristics or individuality. In our twentieth century Western culture, personal names are little more than labels to distinguish one person from another. Sometimes we are not even distinguished by a name but rather a number. However, in Scripture names are important. Not only did it identify a person, it often stood for something specific. Biblical names could express the parents’ reaction to the birth of their child such as in the case of Isaac (Genesis 21:6) which means laughter. Biblical names could also communicate a message from God. Isaiah named his first son Shear-jashub which means “a remnant shall return” (Isaiah 7:3). The name referred to a remnant of the Israelites who would return from captivity. Name changes are also found in Scripture and indicate a new life direction as in Abram to Abraham (Genesis 17:5) or Cephas to Peter (Mark 3:16). Names could also be used to express the nature and function of a person – for example in Matthew 1:21, where Joseph was instructed to give Mary’s son the name Jesus. The name Jesus literally means “the Lord saves”. His purpose was to save people from their sins. Because Scripture ascribes such value to one’s name, it follows that God, the Author, wants us to know and understand His name as well. Who does He say that He is? 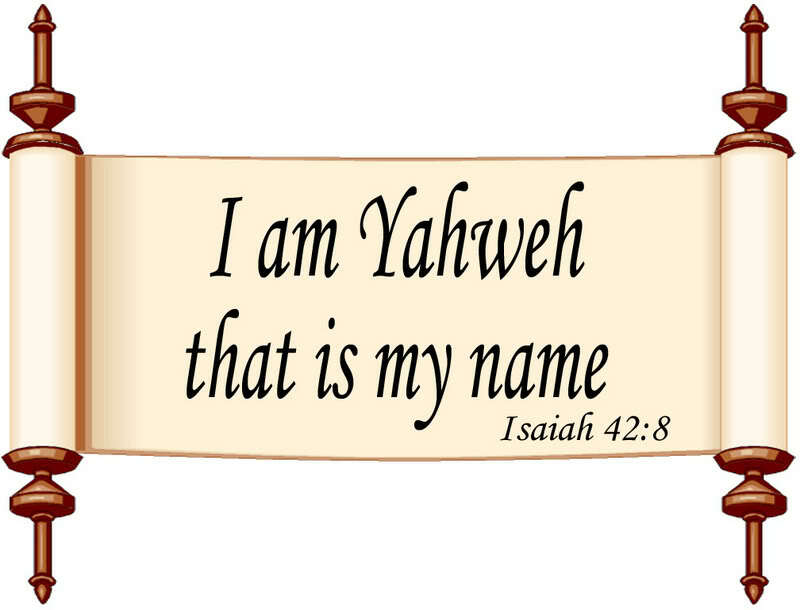 Every time we hear the word Yahweh, or every time we see LORD in the English Bible, we should think: this is God’s proper name (like Peter or John) built out of the word for “I am”. God will never have an end. If he did not come into being he cannot go out of being. Everything on earth is temporary – God is eternal. God is utterly independent. He depends on nothing to bring him into being or support him or counsel him or make him what he is. Everything is totally dependent on God – that includes us. Sometimes we fight it and demand our own way but ultimately it does not change the fact that that He is in control and we are dependent on Him. God is constant. He never changes. He is the same yesterday, today, and forever. He cannot be improved. He is not becoming anything. He is who he is. What He said and did for others in Scripture he can do for us. God is always present with us. He never sleeps, or slumbers or takes a vacation. God is the absolute standard of truth and goodness and beauty. There is no law-book to which he looks to know what is right. There is no almanac to establish facts. There is no art critic to determine what is excellent or beautiful. He himself is the standard of what is right, what is true, and what is beautiful. Regardless of the laws or rules that man makes only God’s are of eternal value. God does whatever he pleases and it is always right and always beautiful and always in accord with truth. God works all things for good (Romans 8:28). God describes himself throughout the pages of Scripture through His words and His actions. The important thing to consider is whether you believe that God is who He says He is? Truth to Claim: God is who He says He is. Application: Pray that God will increase your faith to accept who He is as He reveals Himself to you.